Having moved from Mexico City to Memphis in 1998, Antonio Martinez was very successful in the IT department of a large Memphis warehouse company. When the request came from management to continue doing his job but move back to Mexico City, he refused and they fired him. It is from this humbling experience that Antonio decided to take control of what would happen to him, his wife and his three sons. He was already making tacos in his garage and selling them on Friday nights to the delight of neighbors and friends. So, he and his wife discussed the possibility of opening their own Mexican restaurant. Antonio is a principled man who knew that moving back to Mexico City was wrong for his family and who also knew that the key to a successful Mexican restaurant was not in the décor but in the food. “Don’t come to Las Delicias expecting to see sombreros, maracas, ponchos and Mexican art on the walls. Do expect to experience authentic Mexican food…the best anywhere. Our tamales are wrapped in corn husks, the way they’re made in Mexico. Our guacamole is genuine and we make our own tortilla chips because what’s available is not authentic,” says Martinez. Keeping these principles in mind always, Martinez has been beating all the odds by opening successful restaurants where others have failed. Three so far. His Mendenhall location, just south of Winchester was home to four restaurants before Martinez came along. The Park Avenue location near The University of Memphis is the anchor in a neighborhood mall that just three years ago had 30 to 40% occupancy. Now you can’t find a parking space. The newest location on Quince is Martinez’ biggest and best with 6,400 square feet and a patio to beat any other restaurant in Memphis. Martinez knows he’s not invulnerable. He learned that lesson from his IT job at the warehouse back in 2001. 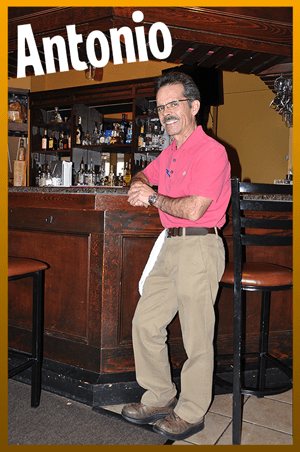 But he believes his principles will continue to pay dividends and help him grow…bringing truly authentic Mexican food and offering an experience unlike any other in Memphis.